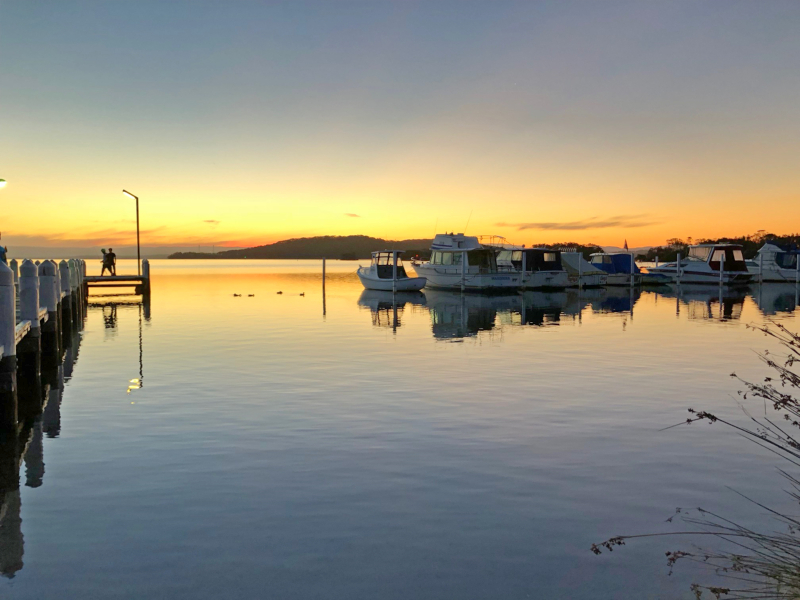 Swansea is located at the entrance of Lake Macquarie (the largest salt water coastal lake in the southern hemisphere) and also benefits from being near the coast of the beautiful Pacific Ocean. 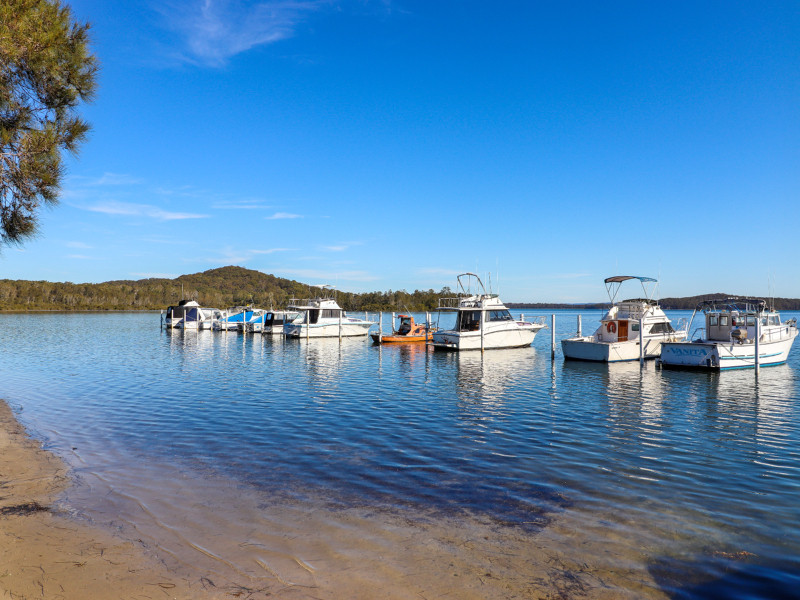 It is only 30 minutes drive from from Newcastle and only an hour and a half from Sydney, making it a great holiday destination. Swansea Heads is on Swansea peninsula between Lake Macquarie and the Pacific Ocean and overlooks Seansea Channel and the lake in one direction and the Ocean on the other. 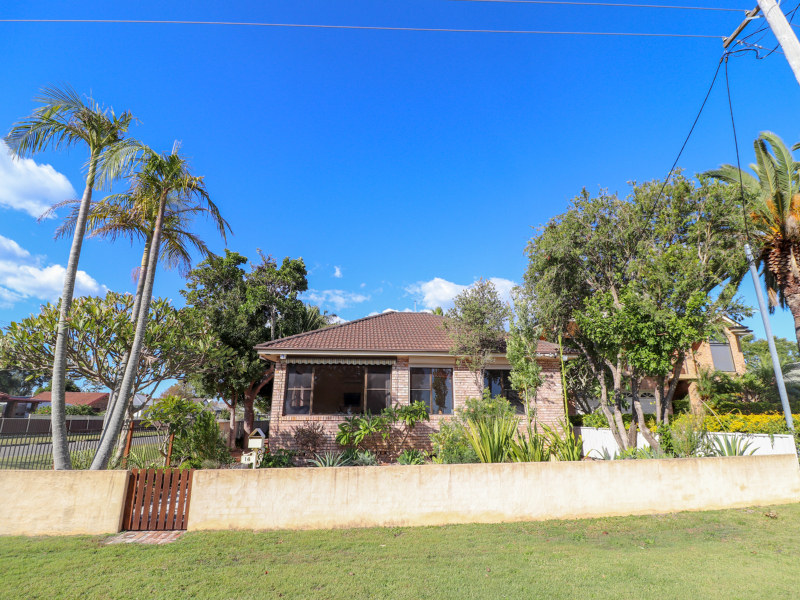 It is a 3 minute drive to Caves Beach and also the shopping centre at Swansea. There are many activities to do when staying around Swansea, from exploring the tiny heritage village of Catherine Hill Bay to wandering through the caves at Caves Beach (patrolled by surf life savers in the warmer months). You can also take a day trip up to the Watagan Mountains, or to the Hunter Valley Vineyards. The area around Swansea was initially known as "Reid's Mistake". 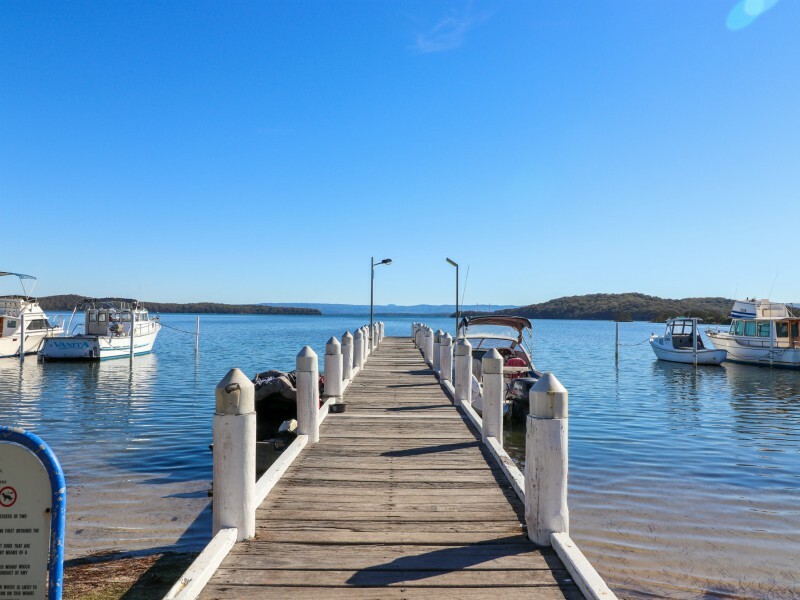 Captain William Reid thought he was entering the mouth of the Hunter River to get coal but instead discovered the mouth of Lake Macquarie . 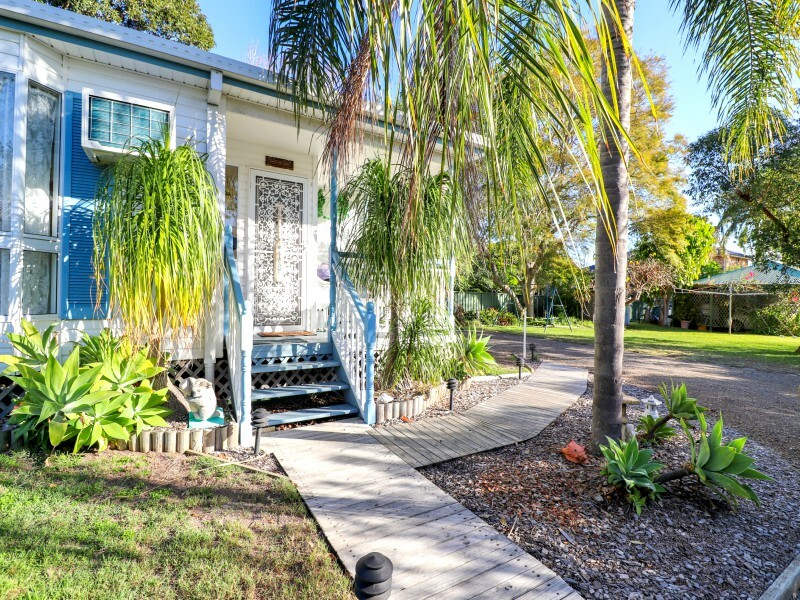 Initially the home to the Awabakal tribe it is now a popular residential and tourist destination. 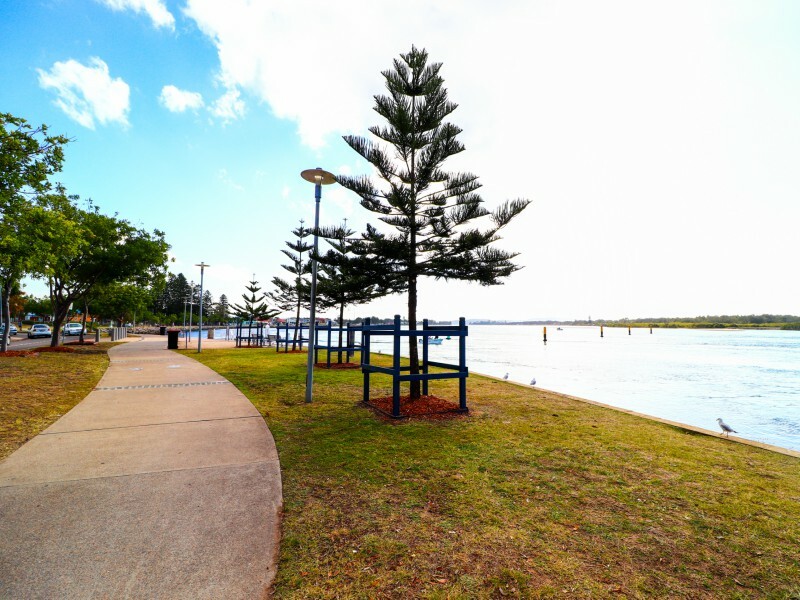 Just inside the lakes' entrance on the southern side of the channel is Black Ned's Bay, named after the last member of the Awabakal tribe to live in the area. 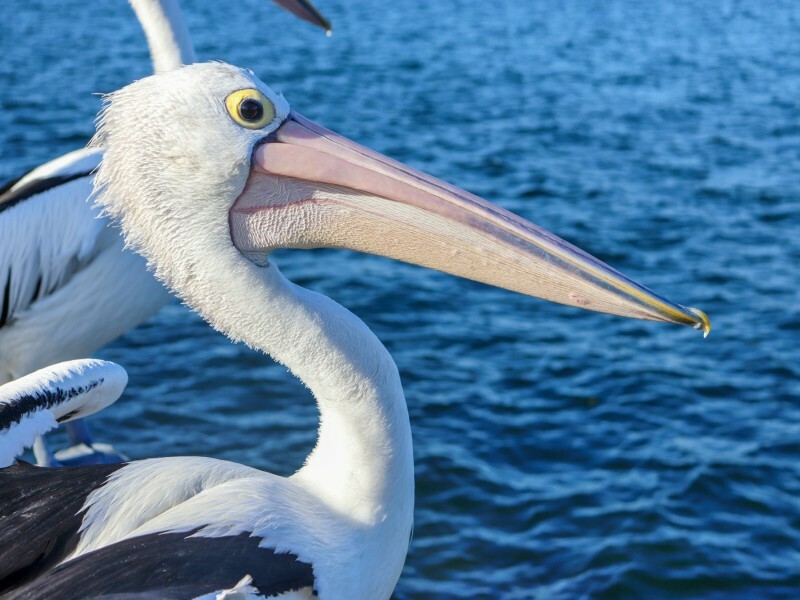 Later the local area became known as Pelican Flat (due to the abundance of Pelicans in the area) but was renamed in 1887. A suburb of Pelican is located just over the Swansea opening bridge. 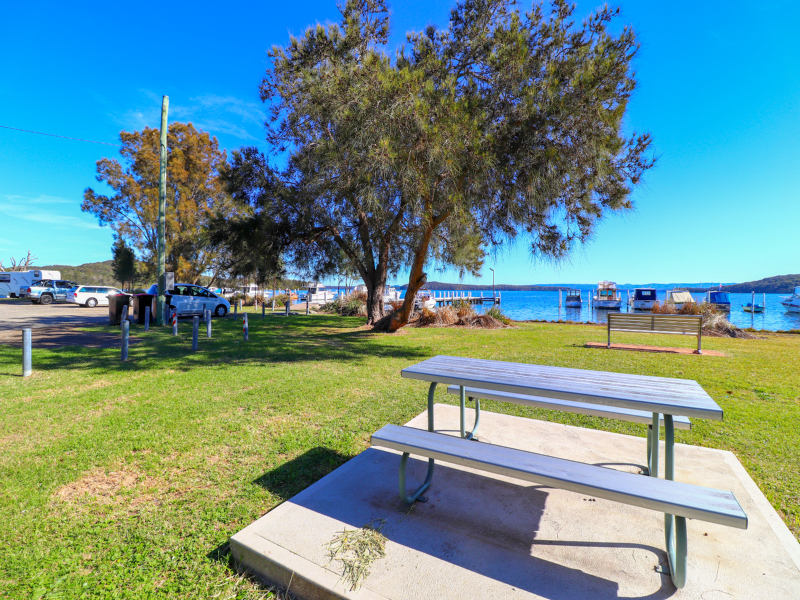 Swansea is surrounded by a number of great swimming and surfing beaches (Caves Beach, Blacksmiths, Catherine Hill Bay) and of course many lakeside picnic areas. Boating is popular, as well as Scuba diving and of course fishing. Or just sit back and have a waterfront dining experience by the lake. FREE WiFi. 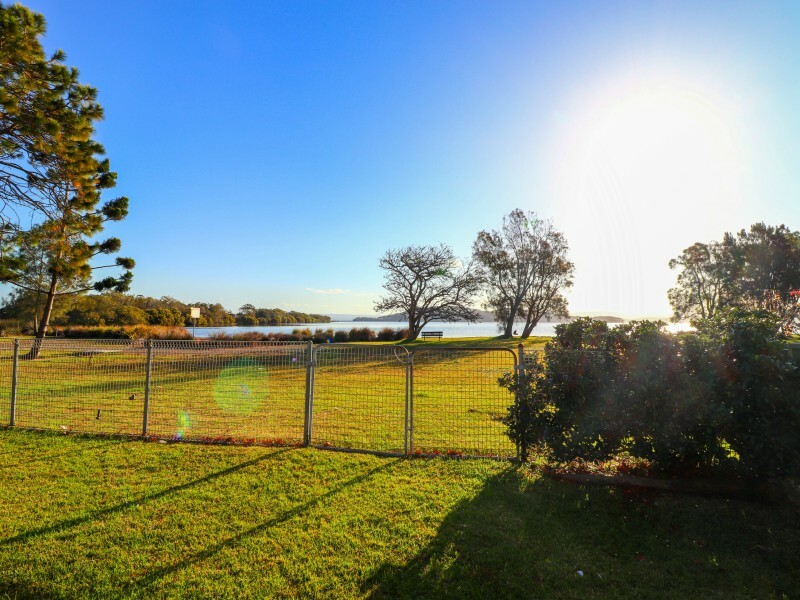 Unwind and recharge with amazing views of the Swansea Channel and surrounding beaches at Diamond View. 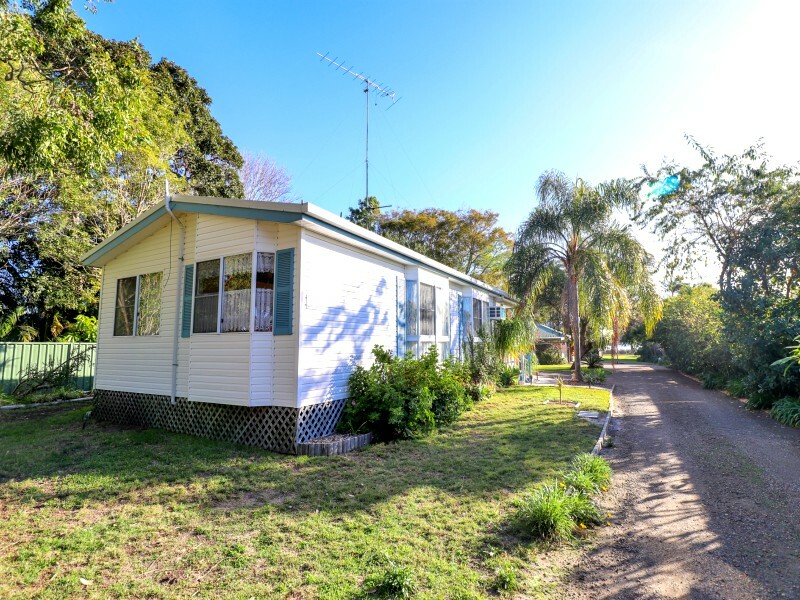 Located in a quiet cul-de-sac area surrounded by gardens, bush and water, if you’re looking for a family holiday or getaway with friends it a great getaway from the city life. 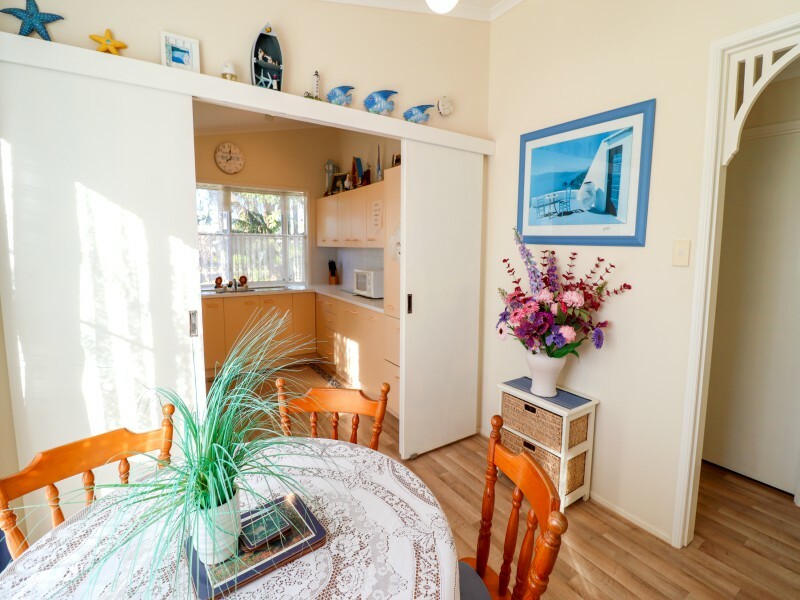 Air conditioned with a fully equipped modern kitchen, wifi and plenty of character, you won’t be disappointed with choosing Diamond View as your next holiday destination. 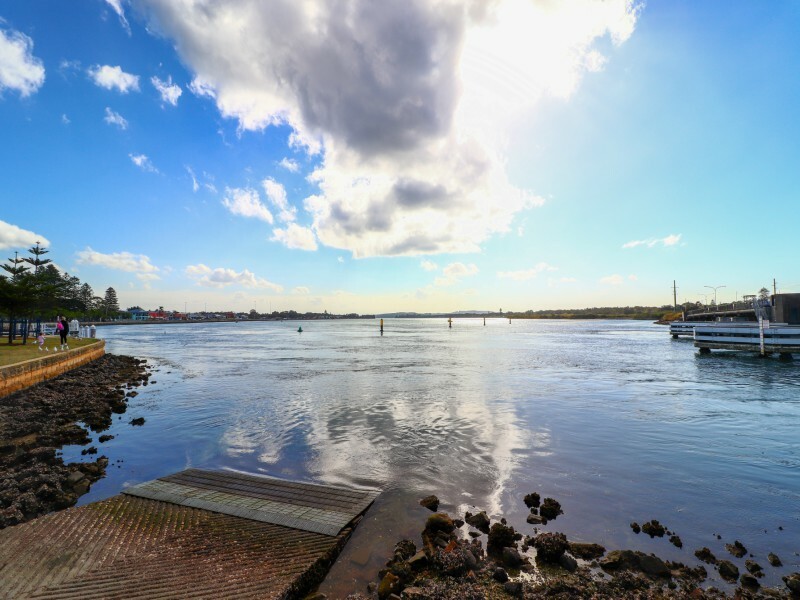 With beautiful and hidden gems within walking distance, soak up some sun, enjoy a swim or perhaps some fishing, boating or kayaking. Swansea Heads is a unique coastal area, surrounded by the lake and channel on one side and the ocean and beaches on the other. It is a short drive to shops and restaurants. 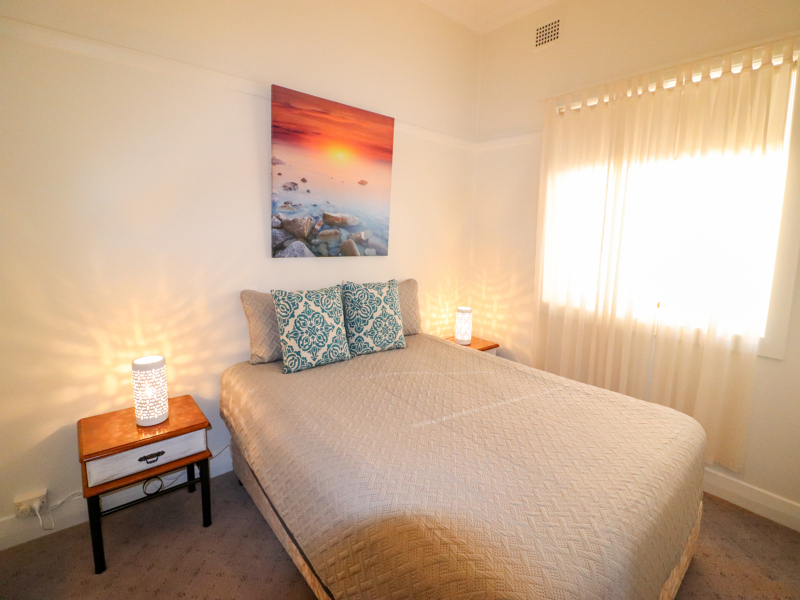 Sleeping 10 people, there is somewhere in the house for everyone to enjoy privacy and their own space or get together as a group and enjoy a glass of wine whilst watching the sunset on the large viewing veranda. 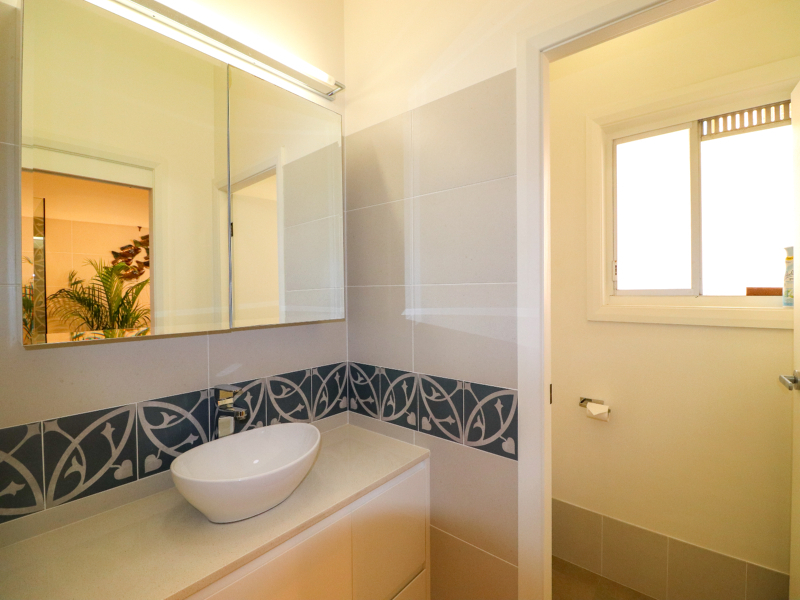 With three open levels, 3 bathrooms and multiple living and dining areas, there is plenty of space for larger groups. Walking into the large double opening doors of the brick home, you are greeted by large open spaces and plenty of natural light. 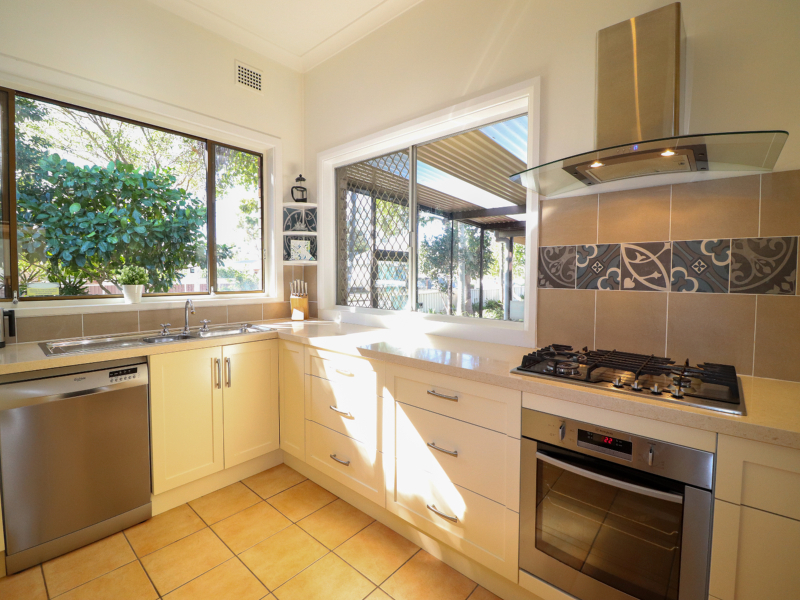 The tiled floors lead into a large kitchen which is fully equipped and has an espresso coffee machine and dishwasher. There are bar stools to enjoy your breakfast, or a formal dining area with large table to soak up the ocean views and enjoy a meal. 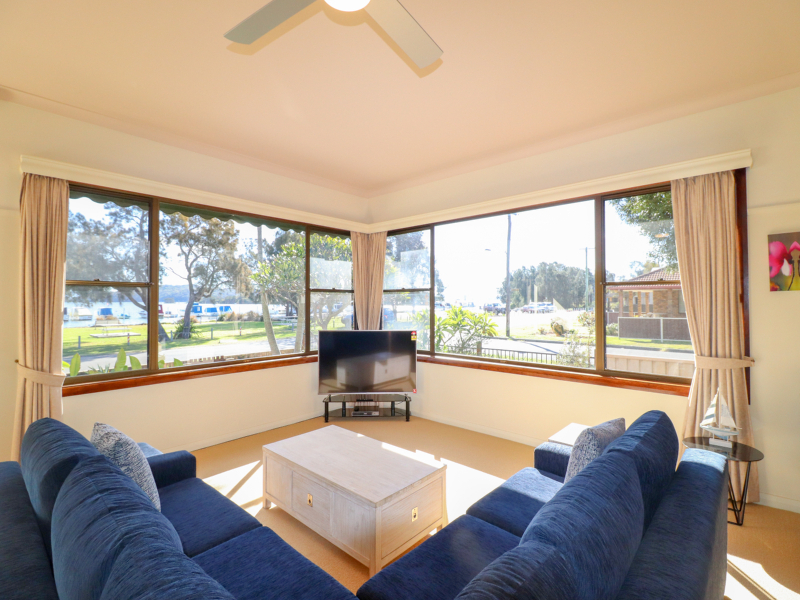 The lounge room has a flat screen TV, high wooden ceilings and amazing views. Leading out onto the large veranda, with a dining table and chairs and an enclosed space with more seating for cooler days. If you head up the stairs, there is a queen bedroom with small veranda and ensuite. The second bedroom with queen bed leads into a two-way bathroom with bath and shower, this leads into the third bedroom with 2 single beds. Downstairs there is another large open living space with beautiful furnishings, kitchenette with small fridge for drinks and to make a tea or coffee and the master bedroom with water and garden views. 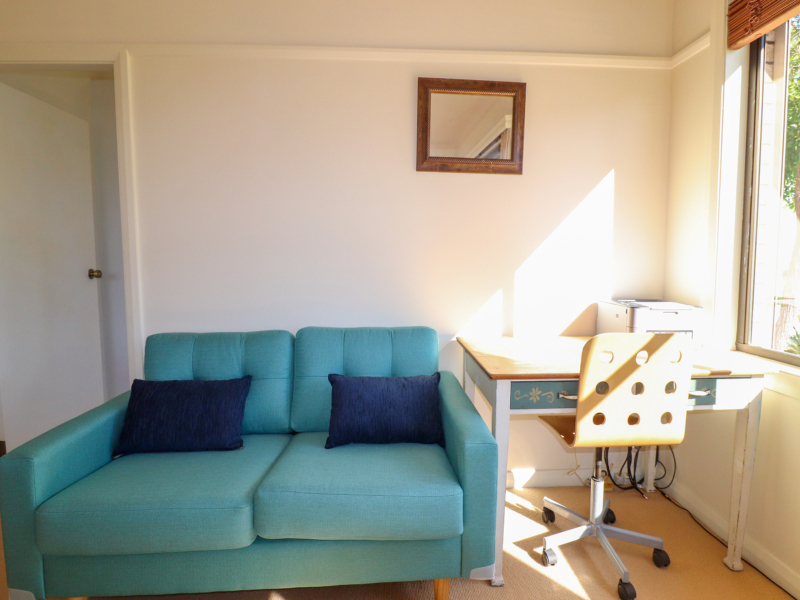 There is also a study with a double sleeper sofa. The garden has native plants and is fully fenced to allow for small dogs and is a nice spot to relax, read a book or enjoy a cup of tea or coffee. Please be respectful of Bernard the Goanna. He is a visitor to the home and will keep his distance from people, however if you see him nearby, please do not feed or try to touch him. You may hear him on the roof as he sunbakes up there. 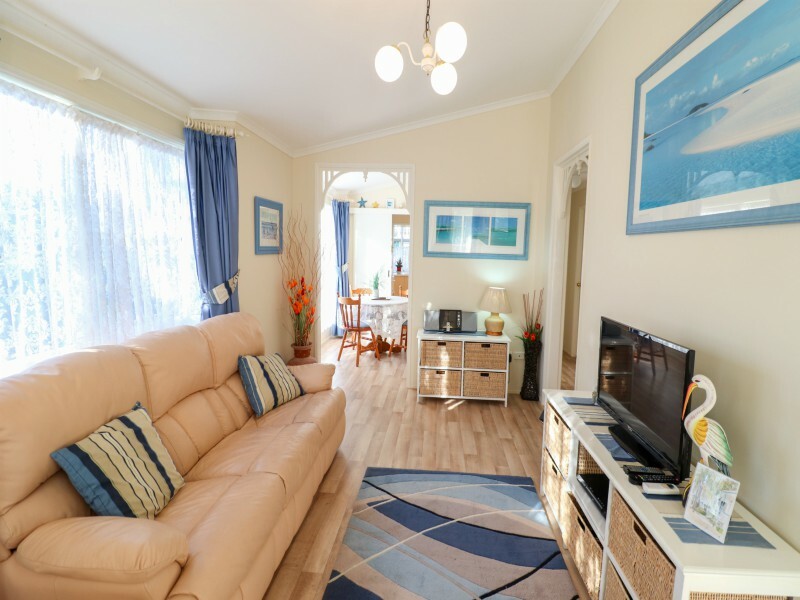 This comfy, spacious and private cottage is located in Swansea and has filtered views of the bay. 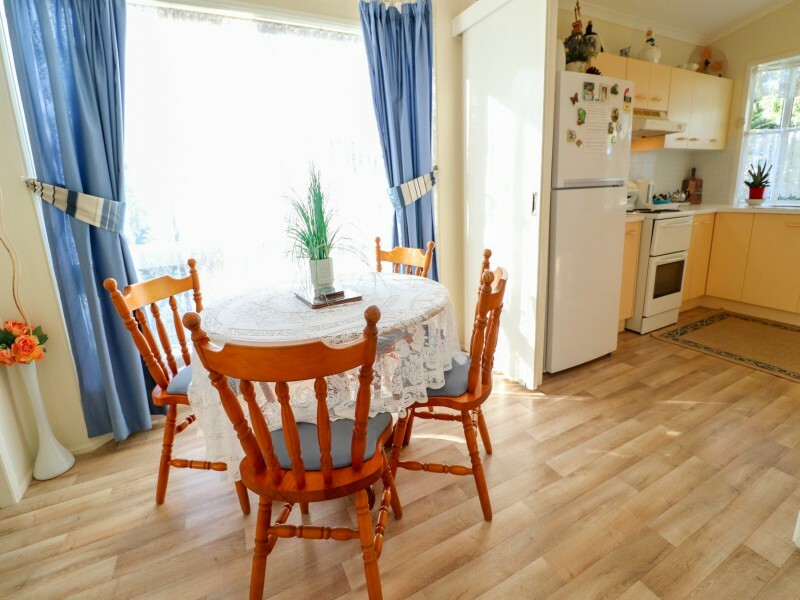 Sleeping up to 4 guests, this 2 bedroom cottage has a homely feel and just like the name suggests, it offers plenty of sunshine, whether you choose to sit out on the deck or simply draw back the curtains. Well set back off the street with a long driveway, Sunshine Cottage nestles between neighbours on the waterfront and on the Avenue. You feel like you are a world of your own, away from other people but still close to all the amenities you expect while on holidays. 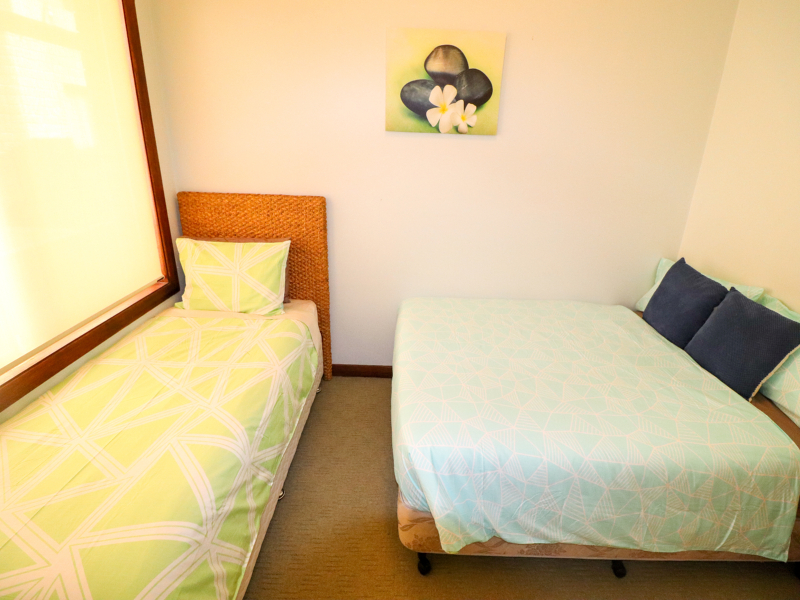 The main bedroom features a queen size bed, built in wardrobes and a ceiling fan, the second bedroom has 2 single beds. 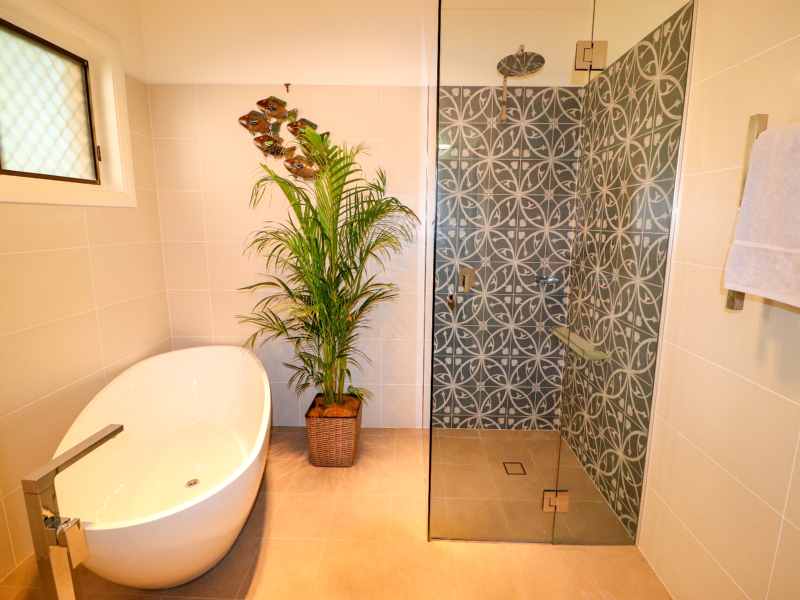 The bathroom has a shower and separate bath. 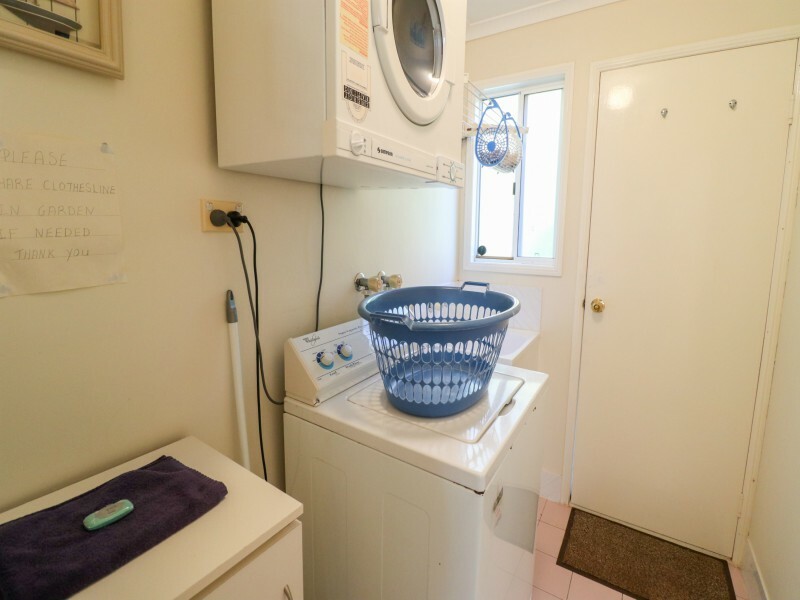 The house also has a fully equipped private laundry. 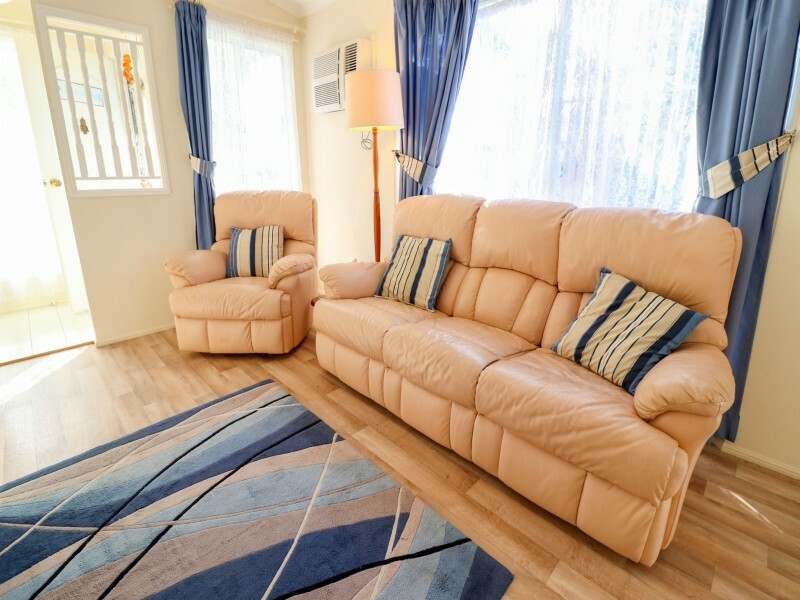 For added comfort the home is air conditioned and has ceiling fans throughout. 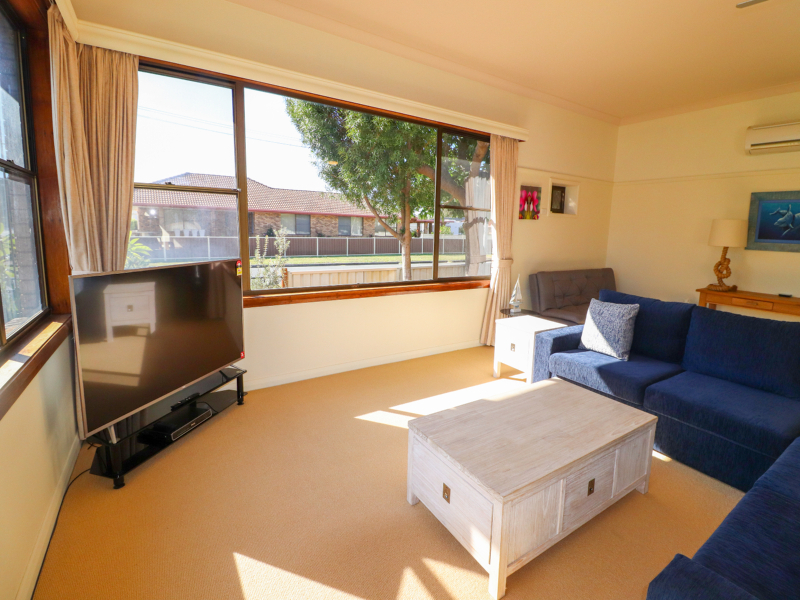 The open plan living area has a TV, a comfy lounge which can fold out and have an additonal guest upon request, (additonal fees apply), a large dining table and fully equipped kitchen which has a full size fridge, microwave, oven and coffee machine. There is a carport to provide undercover parking. 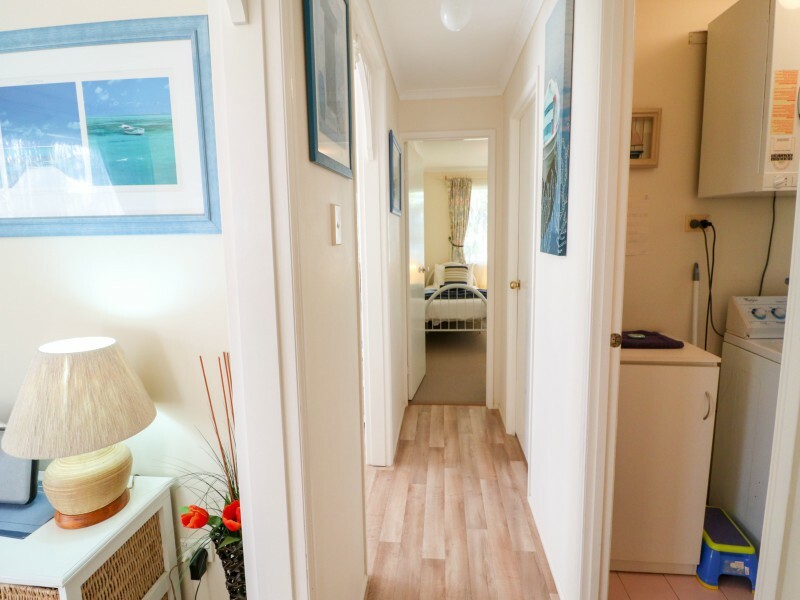 Whilst its street address is Swansea, the cottage,it is only a street away from Caves Beach within walking distance to the beach, local shops and the breakwall and small sheltered bay at Swansea heads. 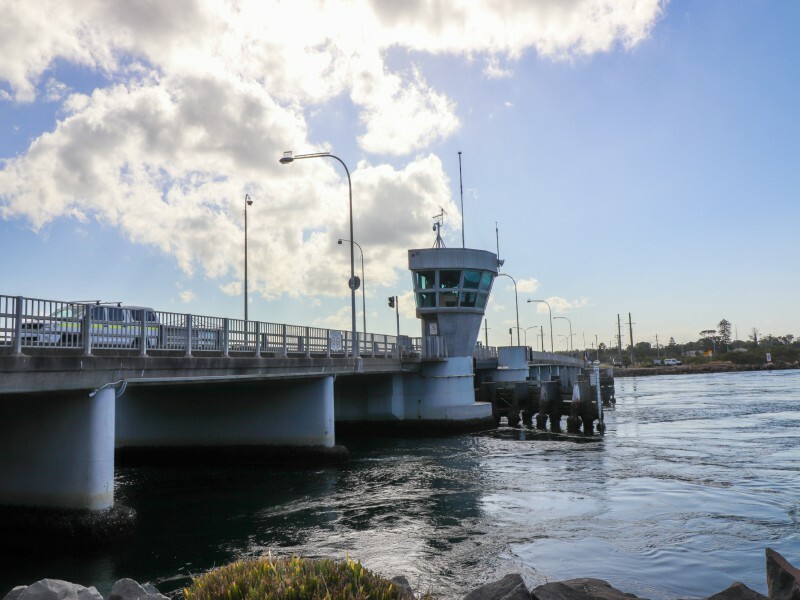 Swansea is only three minutes drive and has all the shops you need and many fast food outlets as well as being the entrance to Lake Macquarie where you can often witness the opening bridge with the boats passing under. The beach at Caves Beach is defintely one to visit, where you can enjoy a swim or relax on the beach, or at low tide go exploring through the caves. If the beach doesn’t suit you, then lake is only a 5 minute drive away. FREE WiFi. 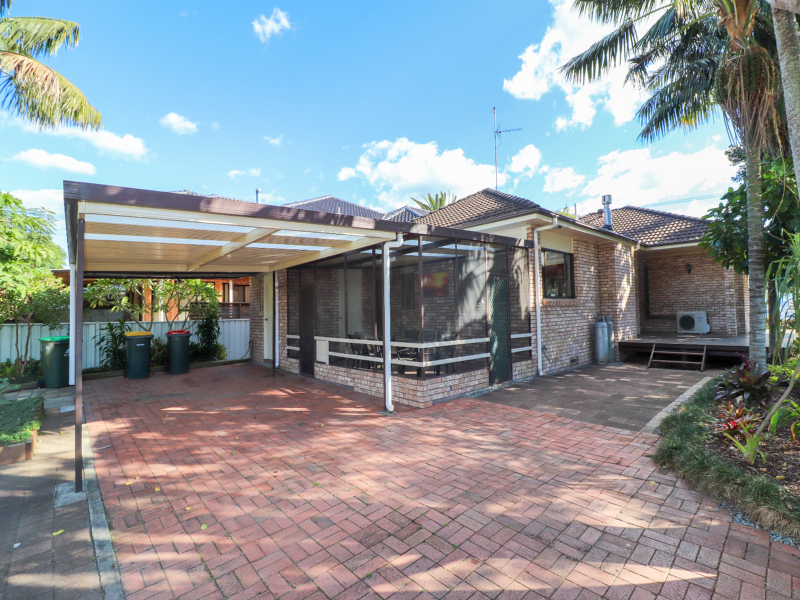 This Large family home is situated in the beautiful suburb of Swansea, on a quiet suburban street but is still close to everything you will ever need. 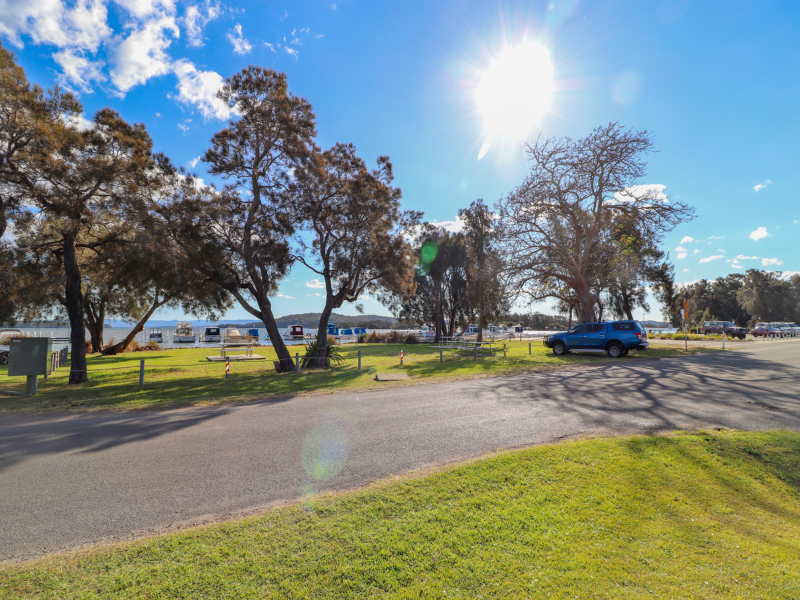 There is plenty of offstreet parking and room for your boat making it a perfect place if you want to come away for a fishing weekend or just a family getaway. There is a boat ramp less then 2 Kms from the house. 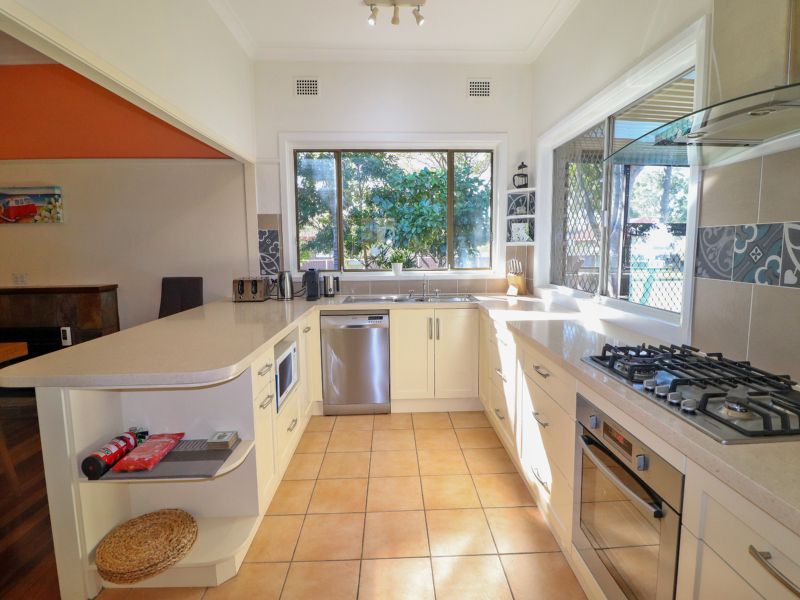 The lake is less than a 200m walk away (with great walking tracks) and the property is less than a 5-minute walk to the shopping centre which has a Coles, Woolworths, Dan Murphys and many more. 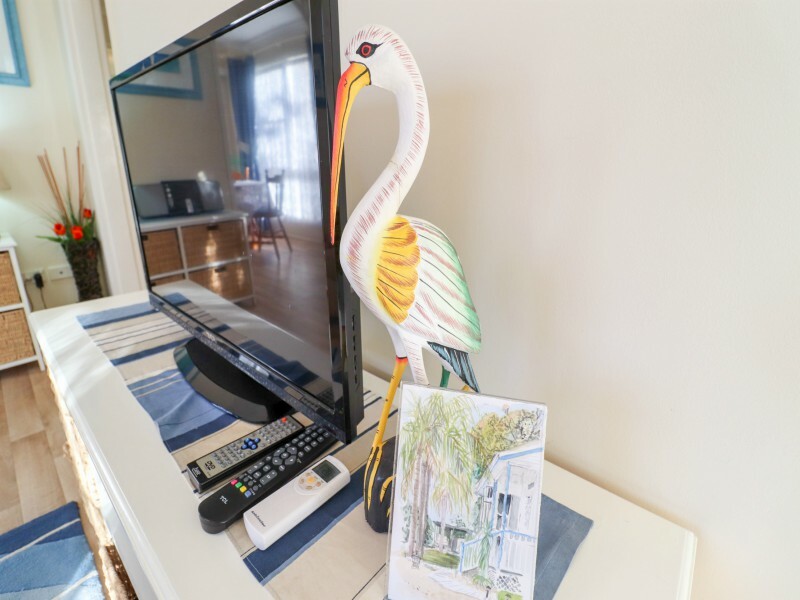 Anglers Abode has ducted air conditioning and is tastefully decorated, featuring a large Flat screen TV, DVD player upstairs in the lounge room. 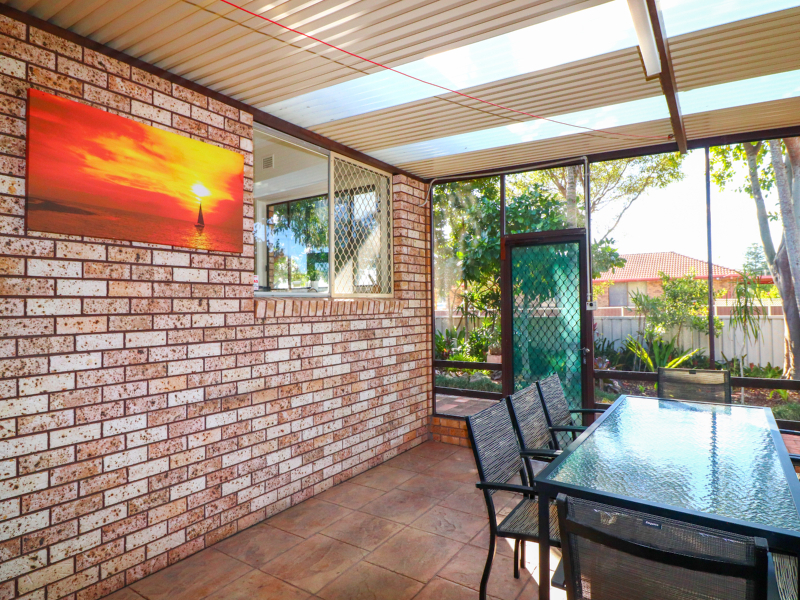 This room leads on to an undercover deck where you can relax and have meals outside using the small electric BBQ in all weather conditions. The dining table seats 6 with 2 additional stools at the breakfast bar, plus plenty of seating for all in the lounge area. 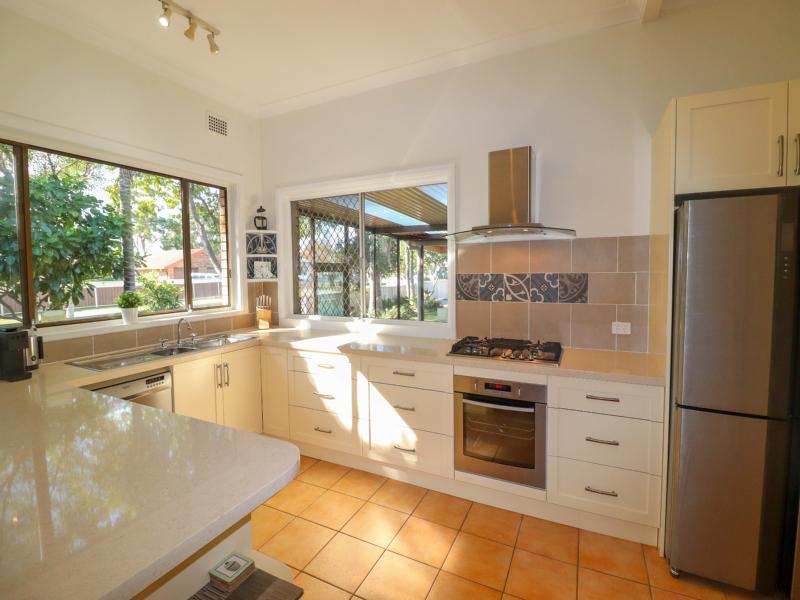 The property has the kitchen leading off from the dining area. 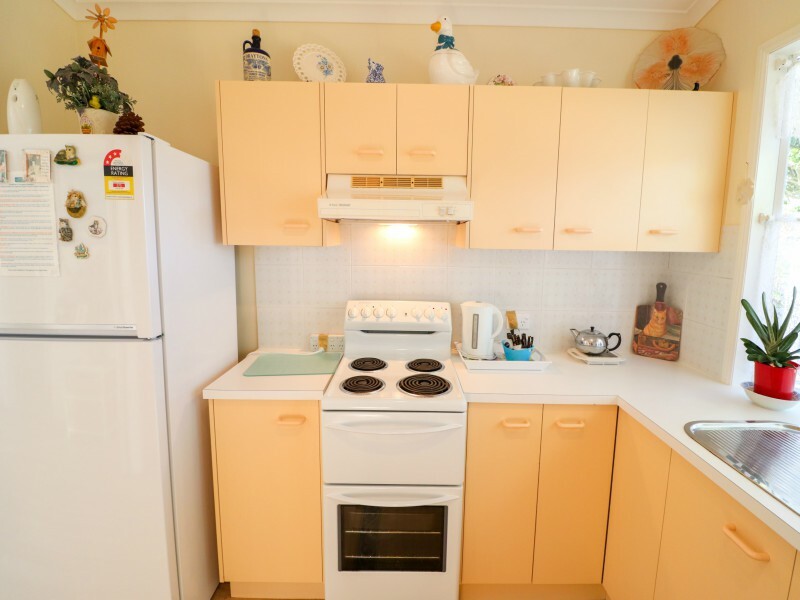 The fully equipped spacious kitchen has a full-size fridge, cooking range and a microwave oven, as well as a coffee machine. 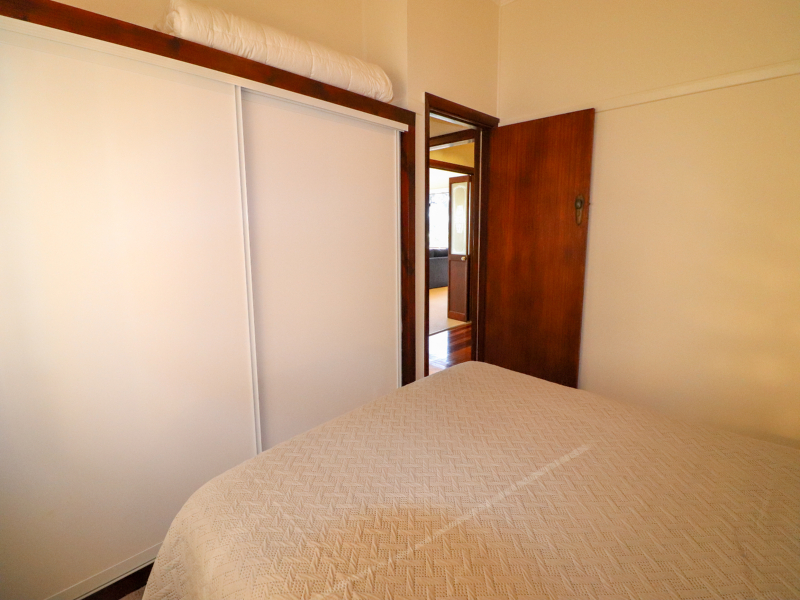 Sleeping up to 10 people, the main bedroom in this home has a queen size bed with a mirrored robe and ensuite. 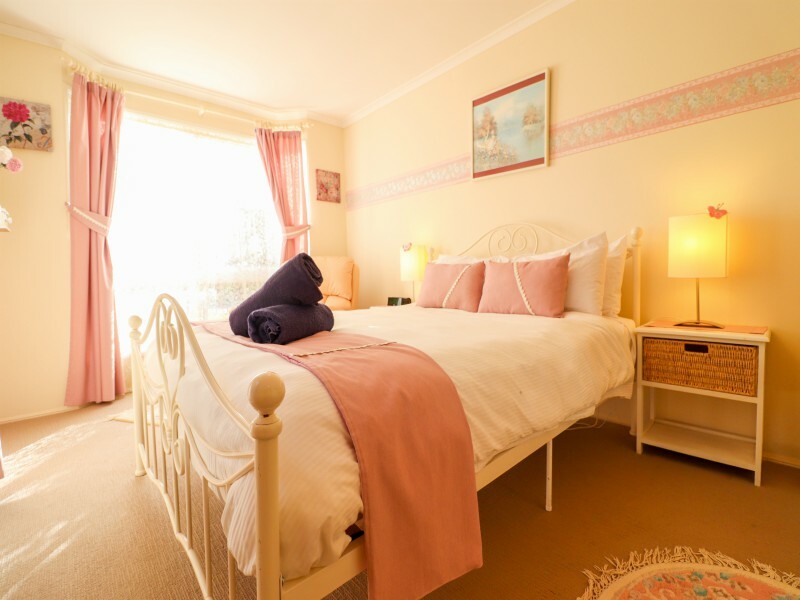 The second bedroom also has a queen bed and is situated on the top level of the home. 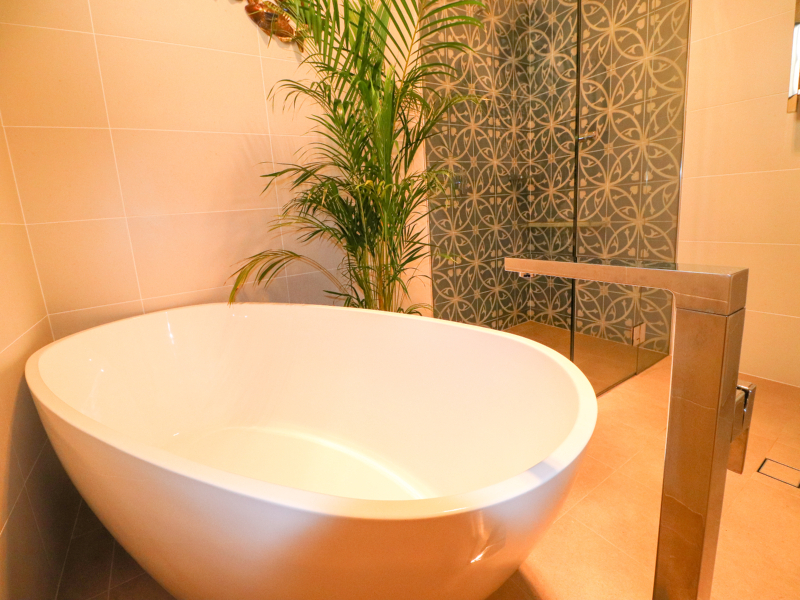 The main bath has a shower, bath and separate toilet. 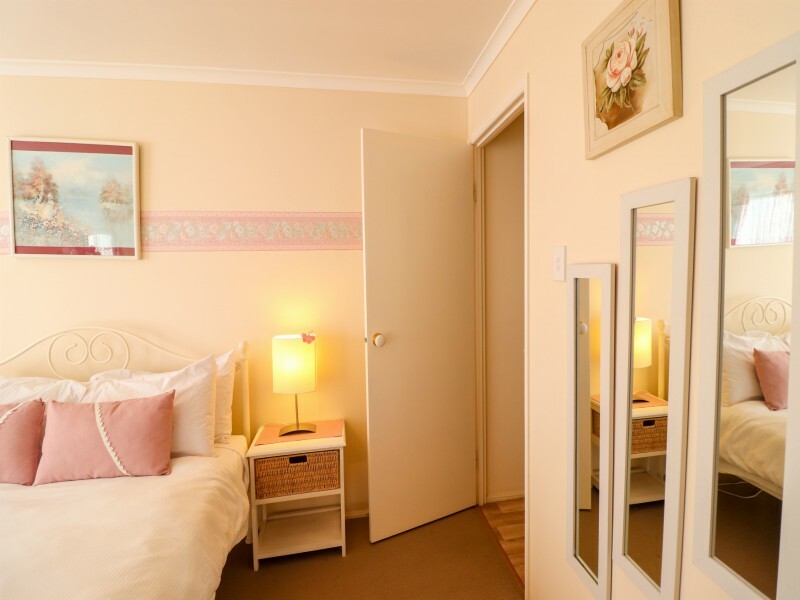 The third bedroom is located downstairs with a tribunk (double on bottom, single on top) and another single bed, this room has a mirrored built in wardrobe, the room next door to this has a lounge, smart TV and is perfect for a second living area. 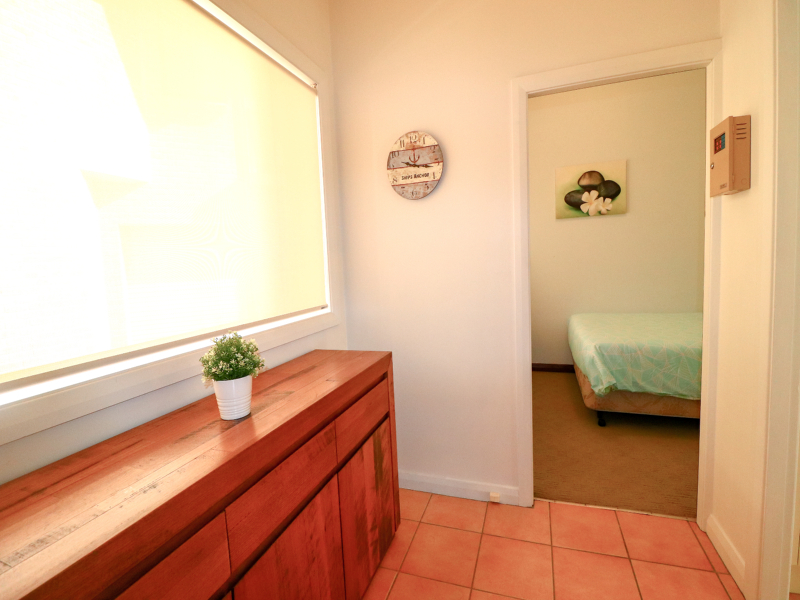 There is also a 3rd bathroom downstairs and a fully equipped laundry with washing and drying facilities. The 4th bedroom upstairs has two single beds. 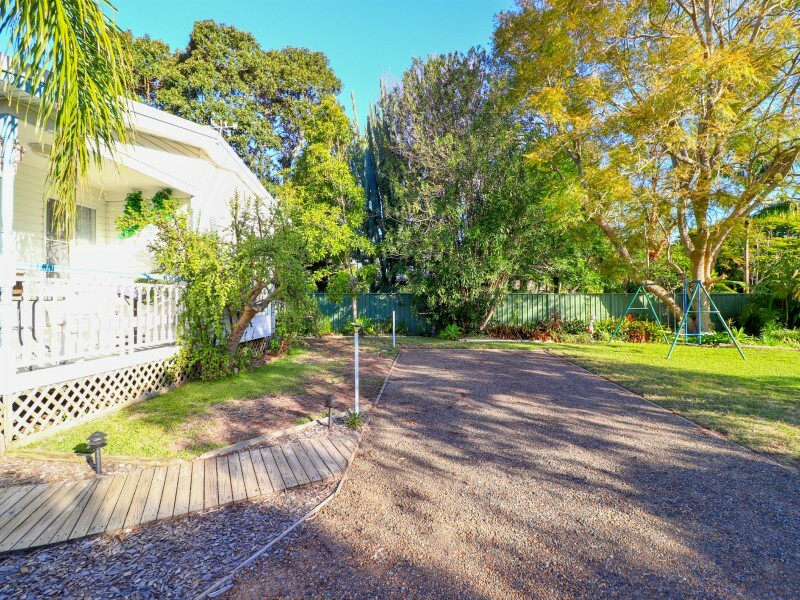 The outside area is great for kids to play, as there is a grassed area at the back of the home, and the front can be blocked off via use of the manual gates if required. 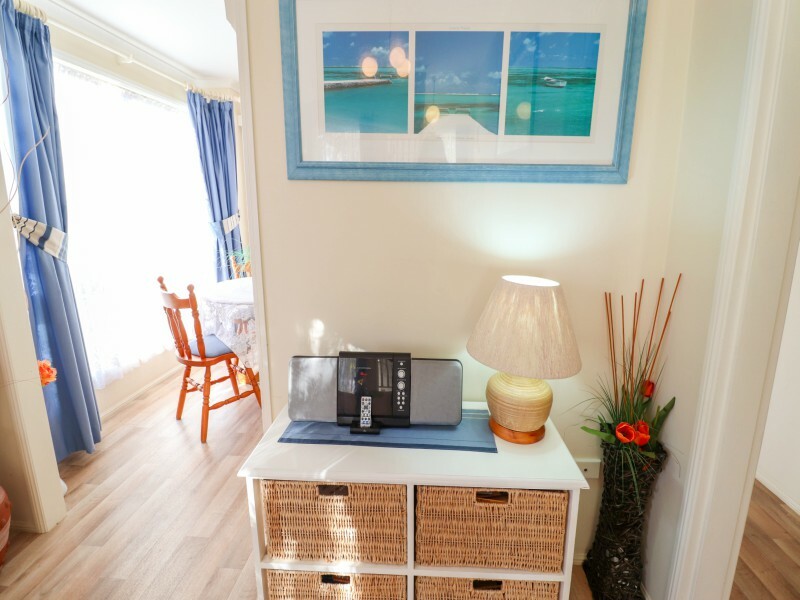 Why not forget the hussle of day to day life, get your fishing, surfing or swimming gear together and come and stay for a while at Anglers Abode. FREE WiFi. 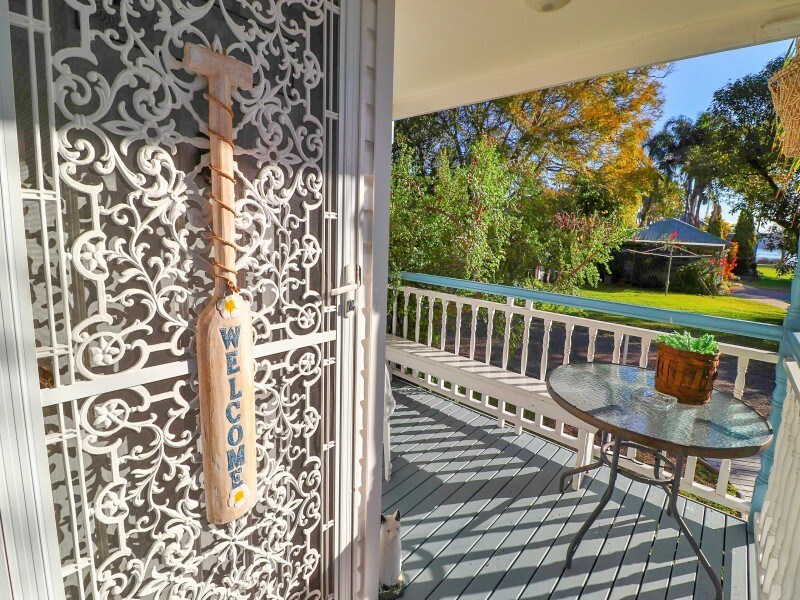 Nestled directly opposite the lake, this 3 bedroom home is beautifully presented and the perfect home for a family getaway, fisherman’s weekend away or simply a romantic weekend away. The windows across the front of the property enables you to continue taking in the breathtaking views of the lake from inside the home all day long, the lounge room has the best views, you can be enjoying a movie on the flat screen TV while still being able to look out the window and enjoy the beauty the lake has to offer, for added comfort, this area is air conditioned. 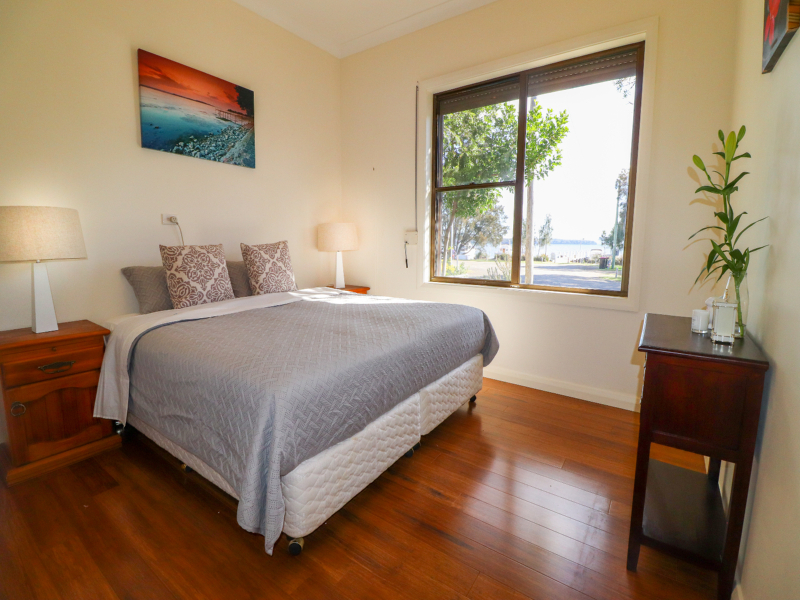 With panoramic views of the lake from the window, the main bedroom features a king size bed, this bed can be split into 2 king single beds. 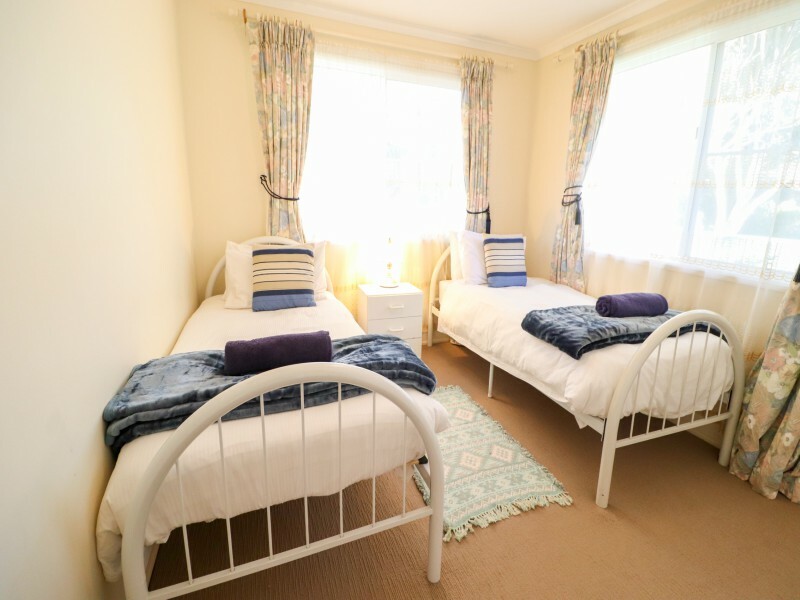 There is a queen size bed in the second bedroom and the 3rd bedroom has a single and double. Sleeping 7 guests all up. 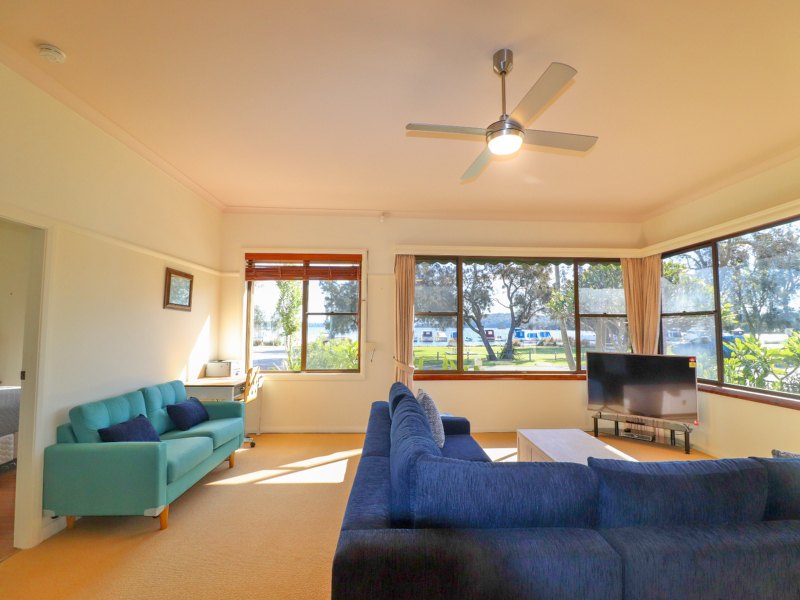 If required there is a fold out bed in the lounge room. 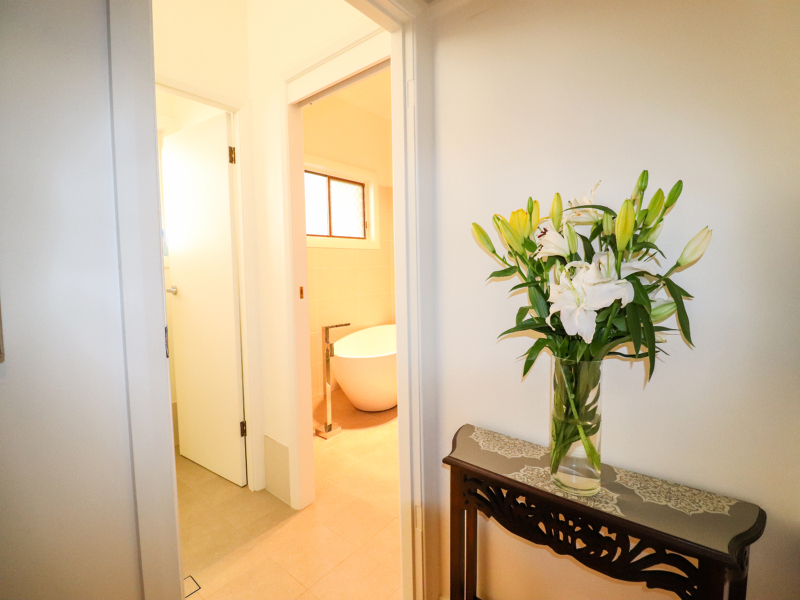 The newly renovated bathroom features a shower and free-standing bath, there is a separate toilet and vanity. 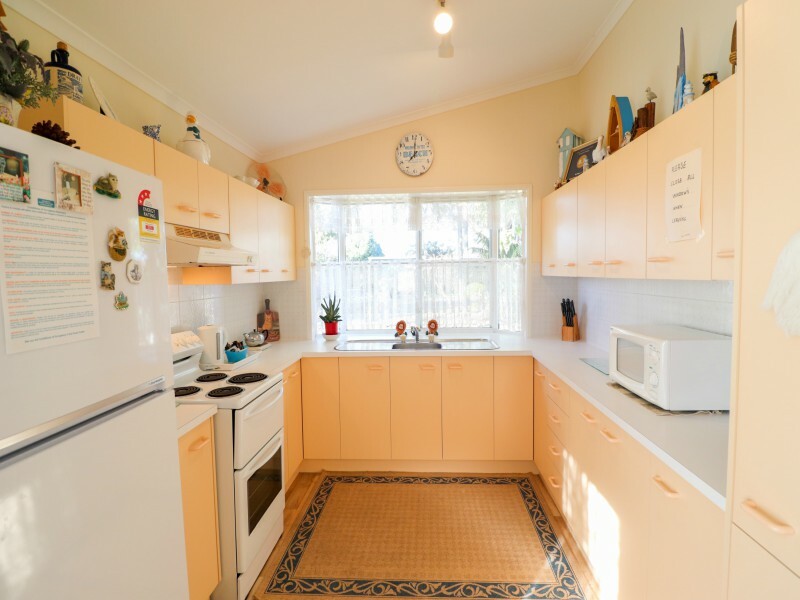 The fully equipped kitchen has a large full-size fridge, a dishwasher, microwave, coffee machine, stove + cooktop and plenty of bench space to do some cooking preparation. 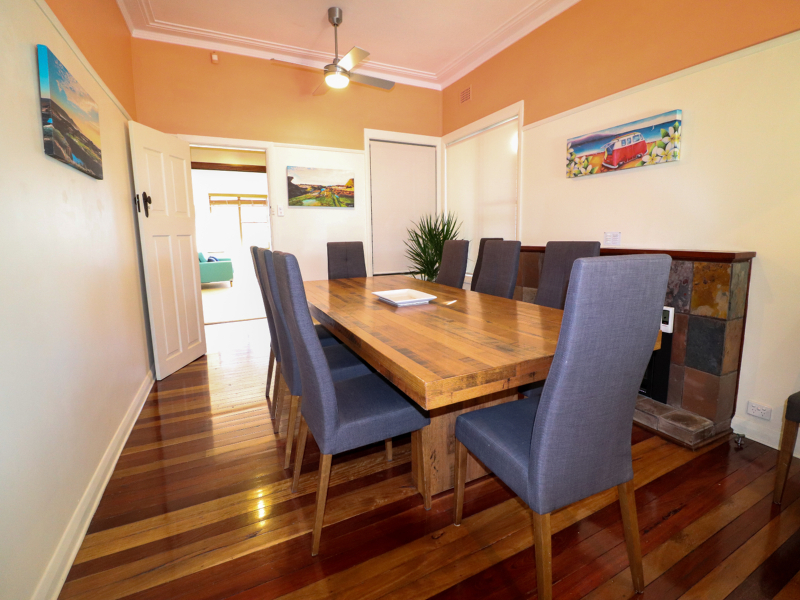 The beautiful large dining table is great for everyone to sit down and enjoy a meal together, this area also has a ceiling fan and gas heating for the colder months. 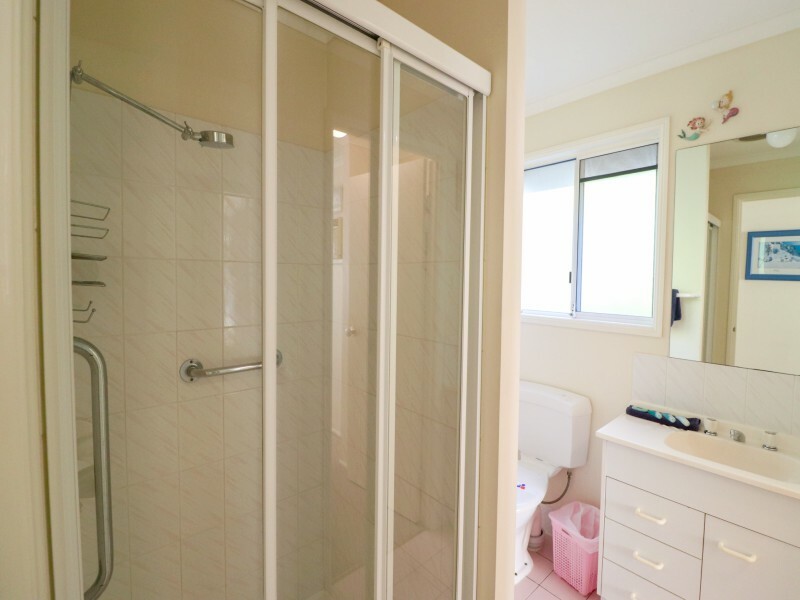 The house also features a second bathroom and fully equipped laundry. Eat alfresco in the undercover outdoor area, there is a BBQ and outdoor setting ready for guest use. 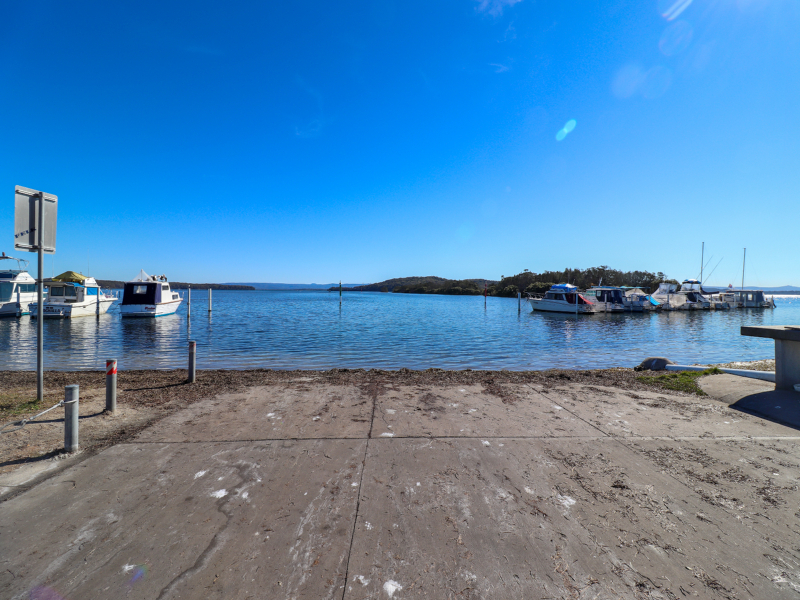 Bring your boat with you, as there is plenty of parking at the property, either under the carport or on the street and there is a boat ramp less then 100M from the property. 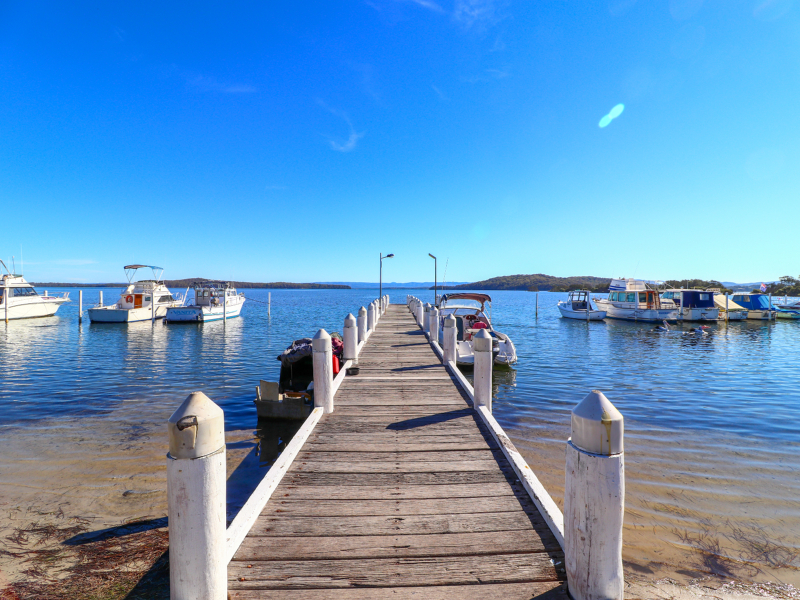 There is also a jetty directly across the road from the house where you can dock your boat for short periods. (Please clean any fish at the station next to the boat ramp). Need to do work while you’re away? 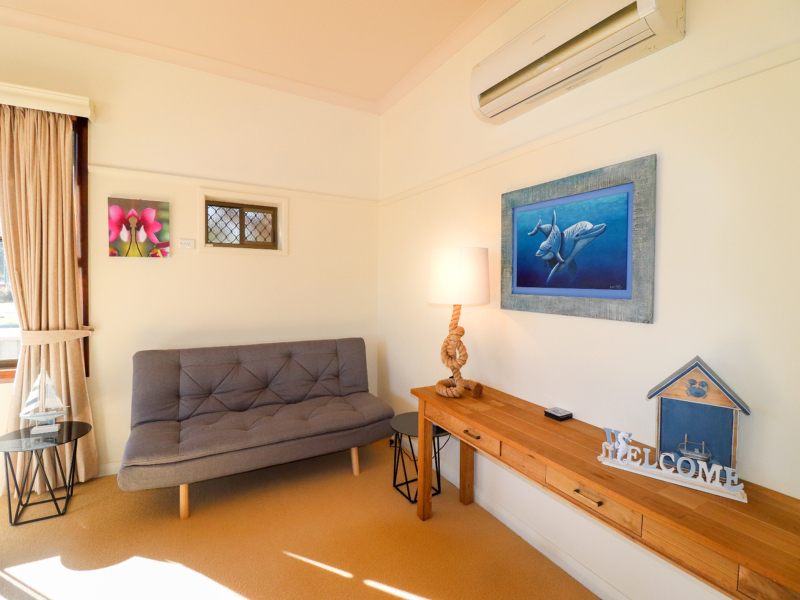 No problem, as Reflections is office ready with a desk and printer set up in the lounge room, you even get views of the lake while you’re working. 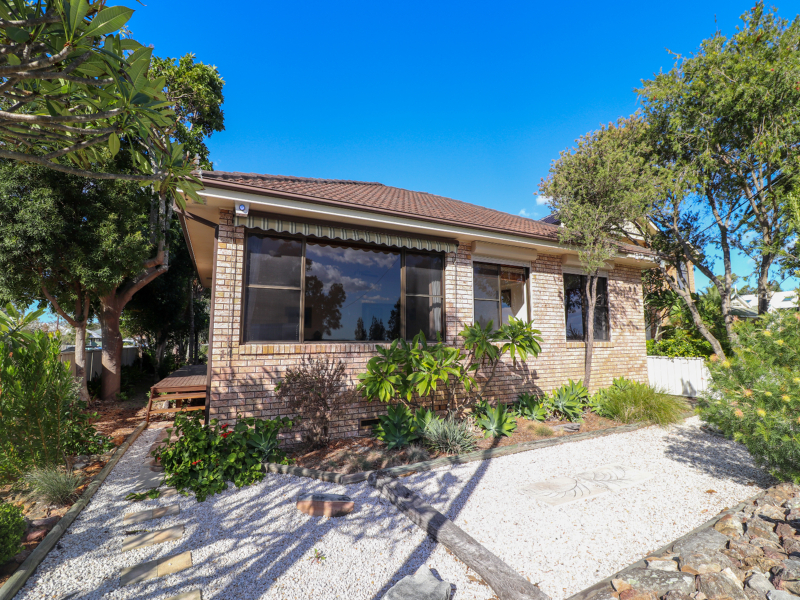 Reflections by the lake is only a short drive or walk from local shops such as Woolworths, Coles and Dan Murphys, if you would prefer a day at the shops Charlestown Square is approximately 25 minutes from the house and features many popular shops and entertainment. 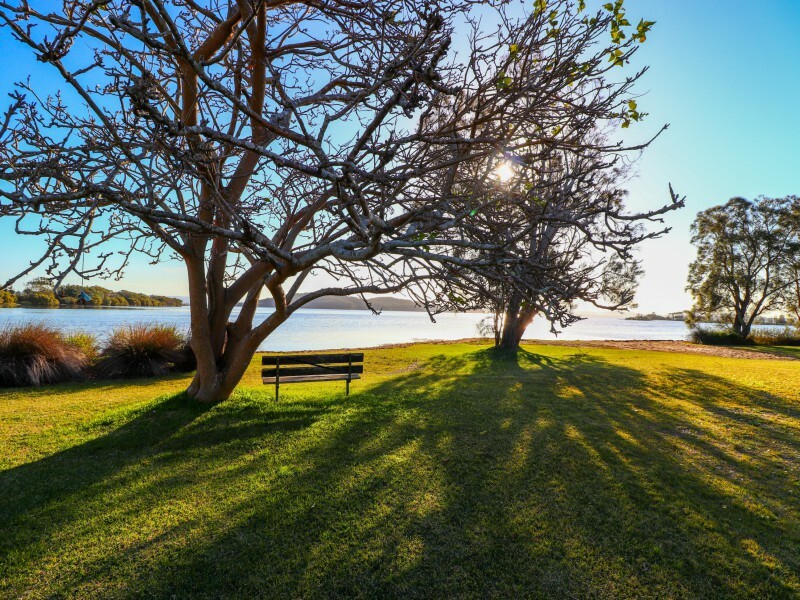 The is also plenty of local beaches for you to explore, Caves Beach is perfect for the family as you there is an onsite kiosk and on low tide you can explore the Caves, Blacksmiths is also great as there is a kids play grounds right near the beach and a local fish n chip shop. If swimming in the lake or beach isn’t your thing, there is a local council pool in Swansea which is open in the warmer months.